1. Coconut for Nei thengai (Ghee coconut): This has to scrapped and polished. One of the eye has to be cleared and also dig in to the pulp with a sharp object until you can have the water drained out. This has to be done few hours before the Irumudi kattu as the coconuts have to be dried before filling the ghee. 3. Rice: To be filled by the person carrying the Irumudi. While filling the rice, you also need to put the money that you are offering to Iyappan. After filling the rice, the ghee coconut is dropped in the bag. 6. Vibudhi (Sacred ash). This will be used to form a heap on which the camphor will be lit to open the ghee coconut. This Vibudhi will then be taken back home as prasadham. What you do after opening the munmudi? Mun Mudi can be opened only after the darshan. Mun Mudi has to be opened by a Guruswamy only. 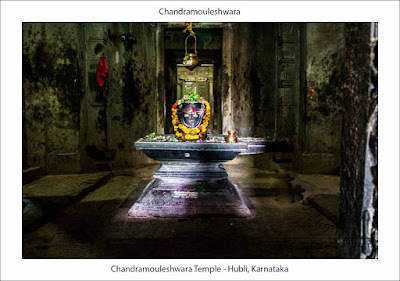 If you are going alone, ask for a Guruswamy to open it for you if possible. People will definitely help you. You empty the vibudhi in a plate. You then have to light the camphor. You need to have this camphor going till you end the pooja. Carry enough camphor along with you. You will need only one place for one group. You then have to start breaking the nei thengai and empty the ghee in a container in which you will give it to the temple. You will then collect the coconut in a towel or a separate container. You need to throw this in Agnikundam, the fire that you will see next to the 18 steps. Beetle leaves, Beetle nuts, Turmeric, Kungumam is for Malingapurathu amman. You will offer all that in the Malangipurathuaman temple. Paneer you will see people slashing on each other. Which is accepted unless you dont bother much. In Malangapurathu amman temple you will also roll one coconut around the temple and leave it there and should not break it. First timers have to do this ritual. Others can do it if interested. 10. 2 coconuts: One has to be broken before climbing the 18 steps on the side of the steps itself. The next has to be broken while starting back from Sabari Mala. It marks the end of the visit and to head back home. Traditionally pin mudi was meant to carry eatables and other things we need for the journey.With change in time and availability of things on our way, we are packing the pin mudi also with things we will need in Sabari mala alone. In the olden days people have to carry all their rations for days on their pin mudi. Along with the above mentioned items also buy and keep 3 coconuts. One is for breaking outside your house when you start from home, the next is after reaching Kanni Mula ganapathy temple in Pamba. The last one again outside your house when you return back. The entire trip has a spiritual meaning of leaving everything to Iyappan and taking back what he gives and sends us back. That is what we keep chanting Swamiye Saranam Iyappa. After leaving everything and living a Sanyasi life for the 41 days, we then take back what is important to us back in to our life and leave what we will not need depending on what we learn from the 41 days. All that I have shared is what I have learn from various articles on the web, what I have heard and practiced myself. If there is any mistake, please point it to me, I will make any corrections needed. Swamiye Saranam Iyappa. Note: This option is not available on the latest version of Skype. If you are like me, who used two Skype account, I would recommend using the older version of Skype. This location may change as per your Skype file location. But make sure you add "/secondary" at the end. This will open up a new skype application on which you can login using your other skype login. If you are using lightroom, you would have faced the same problem as me, if you are using lightroom on a narrow monitor. When you expand Detail tool, you will not be able to see all of the controls below the Detail preview. From the above screen you can see that you cannot access the Noise Reduction without losing the sight of the detail preview screen. I find it difficult to work on noise reduction without the preview where I can see how it affects the image. Here is what I do. Instead of collapsing the detail module preview, I collapse the Histogram as Histogram does not go through any major changes for noise reduction. 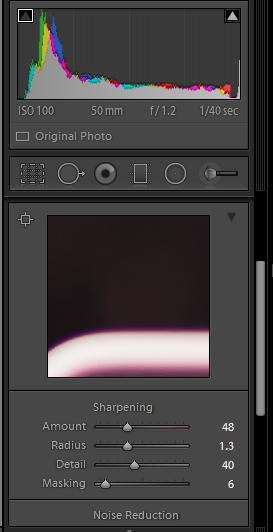 Here is what I get after collapsing the Histogram. Most of you out there will know why we wear Thunai malai during the Sabarimala viradha kalam (Fasting period). This is for those who are seeking this information. We usually wear two malai when we start our fasting. The malai can be Thulasi malai or Rudrahsha malai or Spatika malai. You can wear a combination of these too. The reason we were two malai is because we need to have our mala around our neck for the entire viradha kalam (Fasting period). God forbids, if one mala is broken or comes off your neck, the other will be there to make your fasting to stay intact. This is the reason we wear thunai malai. You will also see people wearing only one mala, this is also allowed. In this case, there is no thunai malai. Worst case, if your mala comes off your neck, chant "Swamiye Saram Iyappa" and put back the mala. If the mala is cut, hold the mala in tact, tie the two beads where it is cut using a thread from your cloth. You can mend it later. Do not feel bad about it. Leave it to Iyappan and continue your fasting. I never gave it a thought what Shiva Lingam really means or represents. The first time I ever heard an explanation is from a movie "Outsourced" released in 2006. It bothered me a little and I was not able to make a meaning out of it on why Shiva or Sivan should be represented as a symbol of the male and the female part. There are even videos taking this to a all new level. I was sure even if it represents the male and the female part, it should have a deeper meaning than just the physical meaning. For years I have had believed in the same meaning. Recently a friend of mine asked me if I knew what Shiva Lingam denotes. I gave the same explanation but found it odd to explain. I was not convinced and went back to study what Shiva Lingam actually mean. Lingam means 'the form'. Shiva Lingam is the form of Shiva. Shivan means beyond the beginning and the end. The shape any galaxy or this whole universe will take when it collapses in to itself will be an Ellipsoid, a perfect 3D eclipse. It is from this shape the whole big bang started from. From which the universe we exist started from. This is the shape matter taken when it collapses in to itself. This the shape of Shiva Lingam which denotes beyond the beginning and the end. The Lingam is always presented along with the Yoni, which denotes the goddess Shakthi, the female creative energy. This also denotes the oneness. This is mis-conceptualized as the physical representation. This has been taken as a way to defame Shivan and Shiva Lingam in some ways. Which is only for other benefits it may fetch for those who can gain from it or to put someone superior in their belief. I can be wrong in my findings or in my interpretation, but this makes more sense to me than the explanation that Shiva lingam was only the representation of the male and the female part. If you deny or do agree, leave a comment. I still remember. It was May 13th, 2012. It was a Sunday. We had just moved in to our newly constructed house, my 28 years dream. I was out with my office friends for the weekend. We were getting back to Chennai. My friend Chandru who was the consulting engineer and also the mason, Velayudham were coming home for lunch and to settle the mason's final settlement. I was returning from Mahabalipuram. I had took the last possible loan from a bank. All my credit limit were exhausted. My three credit cards were already bleeding. Still nothing can beat the satisfaction of building my own house. After a tiresome weekend, I settled in my home on that Sunday. Monday morning I woke up and my mom was not at home. I usually look for her once I am up. I want her to prepare my tea. She was not there. I am a bit superstitious about it. I want to see her before I start to office. I was running low as she was no there. I did not call her to find where she was. I was getting ready to go to office. I was getting dressed up. I got a call from her. She said, she is in Girishwari hospital, Teynampet. She had a boil under her arm pit for a few months. I never knew about it. She had started to exercise just a day before as she now had time and she has a terrace. Morning when she was exercising, the boil had broke and the puss had started to ooze out. So one of a tenant who is staying in my house took her for a dressing, she was working in Girishwari hospital. Over the call my mom said that the doctors have found that the boil was deeper and they want to operate and remove the clot. They want to do it right away. I told he to proceed with the procedure and I will be there in a few minutes. Several things were running in my head. I had to go to office, I have to scramble for money, I have to support her, she was not sounding ok.
in the afternoon. The doctors had removed two tumors, one was 9 cm and the other was 5 cm (U would have raised your eye brow if you knew what is wrong here, for the rest, I will tell you later). They had put it in a solution and showed it to us. They had sent the tumor for biopsy. I was down when she was in the hospital. I did not eat for 2 days. She started to worry about me. But I did not want to eat. I was working from hospital that day. I even had a few client calls, which I attended from the hospital, set the tasks to the team and was monitoring from the hospital itself. My office did make things very flexible for me and I made sure I gave my 100% to work when it was time to work. The procedure costed about Rs.31k and the insurance cover for about Rs. 23k. Tuesday she was discharged and things again went back to normal. I just have to meet the doctor on Saturday for the biopsy report. Saturday afternoon I got a call from the receptionist who was my house tenant. She said my mom has cancer. I did not lend my ears to what she was talking after that. I was sitting in my room. I was feeling dizzy, lied down, started to cry. What next. I don't know. After all the struggle she had gone through in getting my house completed, it was not even 1 month we had settled down. I don't know what to do. I went to the hospital. She asked me to meet the doctor. The doctor explained that she is having breast cancer and it is at stage 3. It is pretty serious and they have to perform an operation and remove the whole breast mass. If I give a go ahead, they will start calling in the specialists and can have the procedure performed on Monday. The estimate will be about 1.5 Lakhs. For some reason I felt he was pushing me to take a decision. There are several factors that are stopping me from deciding. I was completely disoriented. I had to plan for money. My mom has a 1 lakh insurance coverage, 23K is already used up for the previous procedure. For me to manage another loan for 1.25 lakhs in 2 days was impossible. I had used up all the loans that are possible. I need time to get the money. I have to prepare her mentally. I have to educate her. Just deciding was not an option that was left with me. I told the doctor that I will let him know and took the report. I was going around and don't know what to do next. It is time I take the control, start to think. Things have to move on. Now I need to move those things. First I decided to tell my dad about it. He is opposite to my mom, he does not spring up on a situation. He lives to work. He is 65 already, he works 7 days a week. Never complaints about it. I had called home, he had just come in for lunch. Then I called my mom mobile after knowing he had come home (My dad does not use mobile phone). I asked my mom to give the phone to dad. I asked him to tell mom that I asked him to get chips for me and to start from home. I told him I will meet him on the way. It was hard to convince him to do this without telling him why he should do this. I caught him on the way and told him about the situation. He asked me what next. I told him I need to plan. So not to tell my mom about it. I wanted to source information. I want to know about people who have gone through this. I want to find the best possible option to move forward. 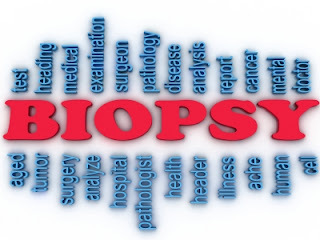 I started calling my close relatives, who knew that we were expecting the biopsy report. They were worried as my mom's sister did have breast cancer. But she survived for 27 years after undergoing the treatment. So the worst fear for them was, if this tumor was indeed cancer. I was down, wanted to be alone. The place that can give me my space was beach. Went to Marina, lied down, tears rolling down m eyes, still don't know what to do next, staring at the waves. Then I started to get calls from other relatives. Then I started to get references. 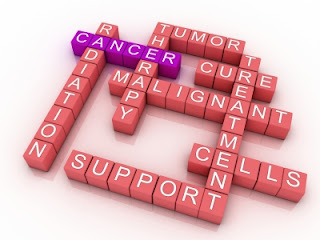 Contacts of oncologists in and around Chennai. I need to decide which doctor has a good track record, how accessible will be the place, what will be the treatment and so on. But I had a starting point. I had the reports with me and also the tumor cross section slides and blocks. I started to study about cancer and the treatment. I was getting confidence that it can be cured. Only worrying thing was, the cancer was now at stage three. I was not sure what that will mean. The doctor had not performed any tests to rule out the cancer was at stage four. Stage four is when cancer has started to spread to other parts of the body. In my mom's case it was stage three as the tumor had penetrated through the skin and had broken. The tumor size was in excess of 5 cm. Cancer has passed to the lymp nodes. By the time I had gone through the internet, I knew what the doctor in Girishwari hospital had suggested was not a accepted practice. Even the tumor extraction the doctor had performed was against the normal protocol for tumor in the lymp node or in the breast region. The only way to get the sample for the biopsy was to perform a needle biopsy. The doctor should not disturb the tumor or taken out the lymp nodes that were already infected. This can cause the cancer cells to move to other parts of the body. this cut made her radiotherapy more painful which was later performed which was part of the Cancer treatment. To add more the doctor had suggested to remove the breast mass on detected breast cancer. With all due respect for his education and for nothing else, I can say he was a money minded devil, taking advantage of peoples ignorance. Removing the breast mass was not the treatment for breast cancer. It is part of the treatment, but not the first procedure. If he had performed the procedure, no other hospital would recognize it and would deny any further treatment if we had planned to move away for any reason. We would have been held hostage by that doctor for all future treatments. If anyone out there feel it was a right treatment, please leave a comment. I will correct it. I dont want to spread wrong information on this sensitive subject. I had three options by Monday. One was a doctor in Kalyani hospital, she had treated and cured a friends HOD. Another doctor was from Global hospital, he had cured my cousin's Mother in law for the same problem. She was at stage two. Another option I hear from lot of people was Adyar Cancer institute. I was trying for two days to get the appointment of the doctor who was treating in Kalyani. I had to wait for 1 week to have a chance to meet with her. If it is that difficult to meet her, then she should be good and also is very busy. But I did not have enough patience. Global option was proving to be a difficult option as it was nearly 45km from home. To go there daily is going to be really tedious. It was not practical to choose that option. Adyar Cancer Institute was the last option. I also evaluated Appolo hospital. But a wrong treatment provided to one of my friends uncle worried me from stepping anywhere close by. As Cancer Institute was the only option left, I went to Cancer Institute that Wednesday. I was refereed to the head nurse there by a friend. She took me over to all the departments and showed me the treatment procedure. The place was crowded. It speaks for itself, people flock to this place from far and beyond. I thank god I made the right selection. The journey had just began in selecting the hospital. The rest was a 9 month long treatment with ample complications due to the first procedure does in Girishwari Hospital, her diabetics and her health condition. After all that we went through, it was a period that taught a lot that was needed for a life time. My office was very very flexible for me. I never took it as an advantage. Not single day I had my work pending. I was still reaching my sales targets and also managing all the projects with no unhappy clients. My days were running from, 8 am to 3 am daily. Was a period of immense pressure where seconds count between personal and office work. To stand and talk to someone would not be peaceful, there will be 100 things running behind. Thinking back, I still dont know how we made it through. Nothing without my mom's will power and her determination not to give up. If you are reading this article in your search for information for your loved ones. I wish you all the best. Hope you got something out of this article that will give you the push and to keep running. You will make it. Just keep running. Stay positive. Early cancer detection is half the cure. Cancer is curable. It is not a sin, it is a disease.